Beau Soleil is a remarkable stallion. From his beginning as a foal futurity winner, to becoming 1999 Stallion Licensing Co-Champion, he has been marked for success. An extremely attractive bright chestnut horse, he has size and elegance with a wonderful expression. He matches his good looks with superior athletic ability both in his excellent gaits and his tremendous jumping ability. A Canadian bred stallion, his pedigree proves beyond doubt the top bloodlines present in our breeding stock. The famous Hanoverian G line of Goldfisch II is represented on both sides; once through Grande and once through Gotthard. The legendary blood of Abglanz is also found through his maternal grandsire Abrupt (view profile). His direct sire, Bajazzo (view profile), is sire of three licensed stallions and has been leading money sire twice at the Fall Breeders Classic Sale. Beau Soleil was top three-year-old stallion at the inaugural CWHBA Stallion Performance Test in 2000 after a busy first breeding season covering well over 30 mares with an incredible 90% conception rate per cycle. 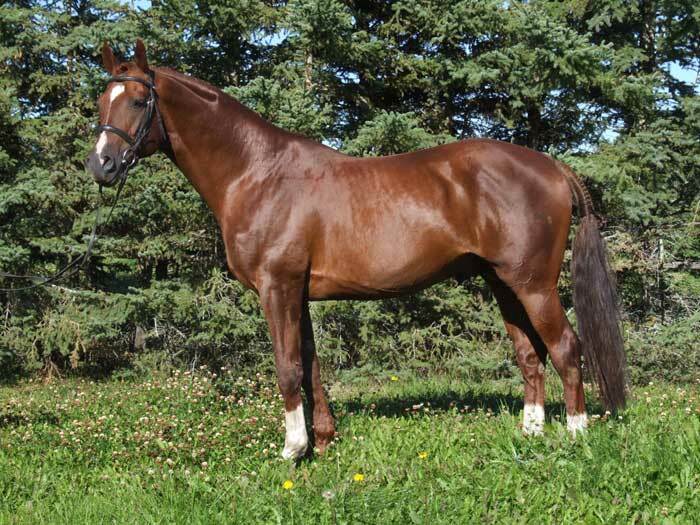 His first foal crop produced the Alberta Foal Futurity Champion Northern Division. His pre potency as a sire is already established with the elegance and excellent conformation and movement of his offspring. We are confident in recommending Beau Soleil for any mare. He has already demonstrated his ability to refine heavier type mares. He produces wonderful heads and necks and foals from lighter mares are showing good substance and size. We have watched his offspring in the pasture and over small obstacles and they clearly exhibit great athletic talent. Riding horses comes with some risks, the most significant of these is head injuries. ICEKAP uses a combination of cryotherapy, aromatherapy and pressure therapy to treat symptoms of concussion and head trauma. At Touchstone Farm, we have witnessed the remarkable benefits of the ICEKAP and we always have one close at hand. Our riders have reported that the use of the cooling and soothing ICEKAP after a fall or mishap, provided a significant reduction in pain and swelling. Right now, ICEKAP is offering a discount to our website visitors. To get your own ICEKAP, click here and use the discount code "Touchstone" when you order. 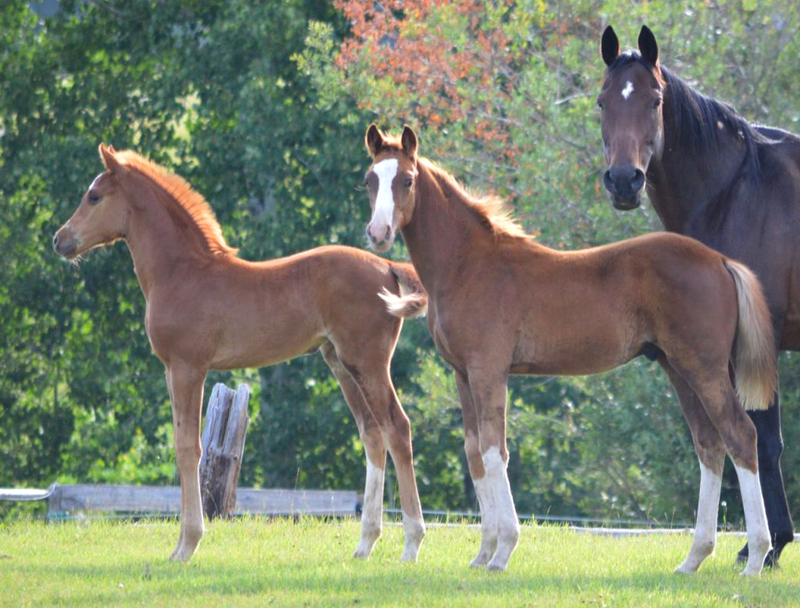 Monami chestnut colt by Mr A (Matcho A) and Bonne Fete chestnut filly by Beau Soleil (Bajazzo).